negozi prima della vostra visita. La casa ha un sacco di arte locale esposta insieme a belle fotografie. Cucina completamente attrezzata e lavanderia separata. Perfect for a short break in Kingsbridge. House is very well equipped and in a great location to explore Kingsbridge and the South Hams area. Scott was an excellent host thinking of all we'd need, the welcome pack of wine, crisps and chocolate a bonus. We will return! Thankyou for your kind remarks and I look forward to seeing you back in the future. We spent a lovely week here. Lots of thought has been given to equipping the house for short stays and it has a lovely feel to it. There's lots to do locally. We hope to come back! This is a stylish, modern house, beautifully decorated throughout and thoughtfully equipped with every necessity, plus some unexpected extras like wine, crisps and chocolate. But more importantly it has a very relaxed and welcoming feel about it and as soon as we'd had our first cuppa we were all very much "at home". Perfect home for a weekend away! Great host and everything you need! Very clean and homely! Scott’s home was everything we could have asked for. It was clean, in a brilliant location and so homely. We can’t wait to visit again! 6 of us stayed here comfortably. Stunning, well equipped property in great location. The property was spotlessly clean when we arrived and really had wow factor! 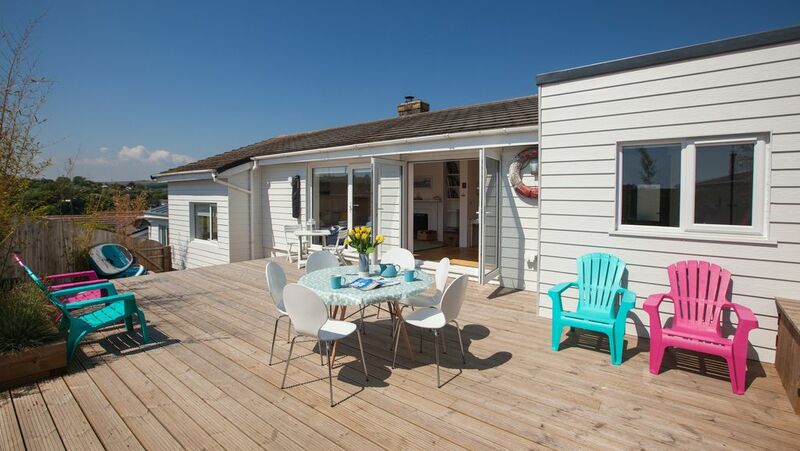 It is beautifully decorated in a modern coastal style with some lovely local art work. The owner really has thought of everything - this was the best equipped self catering accommodation I've stayed in. Little extra touches such as wine, milk, crisps and chocolate left for us made it extra special. Everything in the property is to a high spec and it was very comfortable to stay in. I loved sitting on the decking watching the sun set with a cold drink in the evenings. The location is great too - lots of lovely places to visit within a very short distance (our favourite was South Milton Sands- a fantastic beach). I would love to return to this holiday home and would certainly recommend it to others. Thank you for your kind review and so glad you had a fantastic time and I look forward to welcoming you back with your family in the future.